European media outlets reacted with surprise at UK Prime Minister Theresa May’s call on Tuesday morning for a snap general election scheduled for June 8, branding it a shrewd but possibly dangerous move. The front pages of most European newspapers on Wednesday morning were taken up by images of May’s address to the nation, while editorials described her U-turn on seeking election pure politicking. The move was cleverly designed to annihilate both Tory dissenters and the Labour Party opposition, they argued. The Spanish press seemed obsessed with “May’s jump,” with no less than nine newspapers leading on the story. Interest in the topic is perhaps understandable, as an estimated 310,000 British expats currently live in the southern European nation. The country’s largest paper, El Pais, splashed with May’s announcement, headlining “May takes advantage of Brexit to call for elections.” Fellow Spanish paper El Mundo also opted for May’s Downing Street speech, suggesting the PM is looking for “support in the ballot box” to push through Brexit. 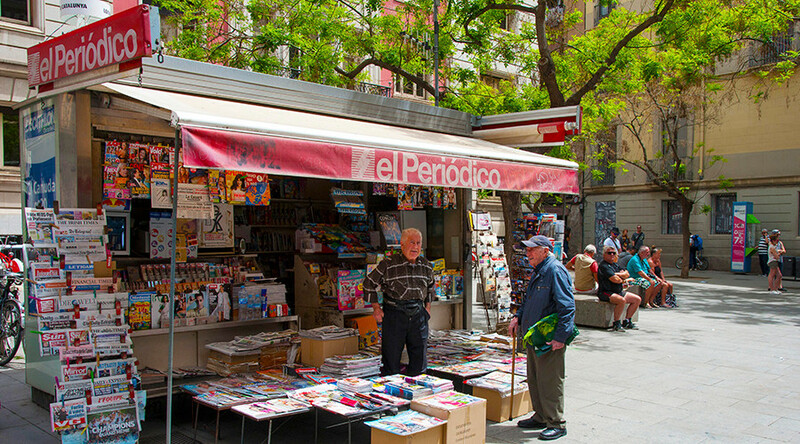 La Vanguardia, ABC, El Periodico, El Correo, Cinco DIas, Expansion, and La Razon all lead with May’s picture. For the Germans, Theresa May is clearly consolidating power ahead of turbulent Brexit negotiations. The Frankfurter Allgemeine broadsheet highlighted the surprise move, suggesting that as well as attempting to push aside any obstacles to a “hard Brexit,” May’s motivation was her lack of mandate. “The Prime Minister of Great Britain hopes for a new mandate for the negotiations with Brussels. However, despite their popularity, the outcome is uncertain,” wrote the paper’s political correspondent, Jochen Buchsteiner. The paper said that in order to consolidate control over the Brexit negotiations, the PM is aiming to “widen her parliamentary majority.” Like other EU papers, La Tribune thinks calling a snap election will thwart the Scottish nationalists seeking a second independence referendum and a potential break-up of the Union. For the Greeks and Portuguese, May is following her authoritarian instincts. “Elections without debates and chatting about Brexit,” headed the Greek daily Efimerida, while Portugal’s Publico talked of May “clearing the path” to Brexit.